Kindergarten teachers should ask questions about the plot as they read to students. Kindergartners spend a great deal of class time on identifying letters, practicing letter sounds and learning to read sight words. As kindergartners become more proficient at these skills, they'll begin reading simple books and text. 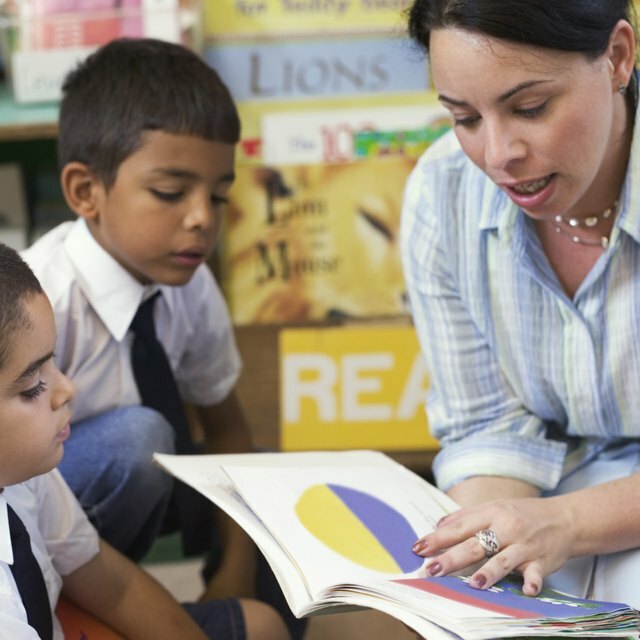 To ensure the students are comprehending what they're reading, teachers ask a variety of questions designed to force kindergartners to pay close attention to the plot. Reinforce the concept of plot with a variety of engaging classroom and home activities. Spend time each day reading out loud to your kindergartners. Begin by showing them the cover of the story and asking them what they think will happen in the book. There are no right or wrong answers during this time so encourage students to think carefully and critically. Once you've heard the predictions, start reading the story. Read a page or two and then ask the students what has happened so far. 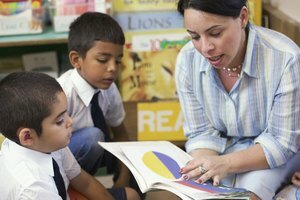 Reinforcing the main events in the story is key to teaching kindergartners to identify the plot of a book. Continue reading and asking questions until you've finished the story. Spend a few minutes reviewing the main details from the story so kindergartners leave this read-aloud time with a firm understanding of what they heard while you were reading. Reinforce the plot of the stories you're reading in kindergarten with hands-on activities. 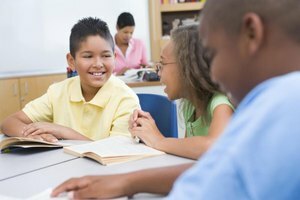 Assign small groups of students parts from one of the stories they've heard and ask them to reenact the story for the rest of the class. Provide small paper bags and assorted craft supplies and ask the students to make puppets modeled after the characters in the story. Encourage the kindergartners to use their puppets to retell the plot of the story. Graphic organizers are similar to maps in that students fill in each area with a certain aspect of what they are reading. You might separate a piece of paper into four sections by folding it or drawing lines on it. Make a copy for each child. Ask the kindergartners to choose four main ideas from the story and illustrate them, one in each section. Create beginning, middle and end worksheets by drawing three large boxes on a piece of blank white paper. Make a copy for each student. Have the kindergartners illustrate what happened in the beginning of the story, the middle of the story and the end of the story. 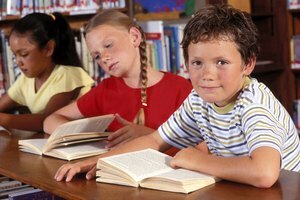 Students who read at home or are read to tend to grasp phonological and comprehension aspects of reading more readily and more quickly. 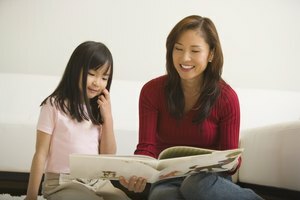 Send simple reading books home with your kindergartners and ask them to read them out loud to their parents. 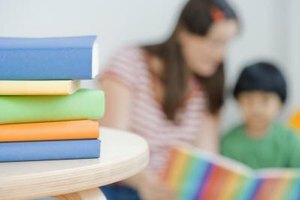 Send home a list of comprehension questions with each book so parents know what to ask their child as they read. You might also encourage parents to come up with their own questions as they read with their kindergartner. Ipatenco, Sara. "Teaching Kindergarteners About the Plot of a Story." Synonym, https://classroom.synonym.com/teaching-kindergarteners-plot-story-33108.html. 26 September 2017.